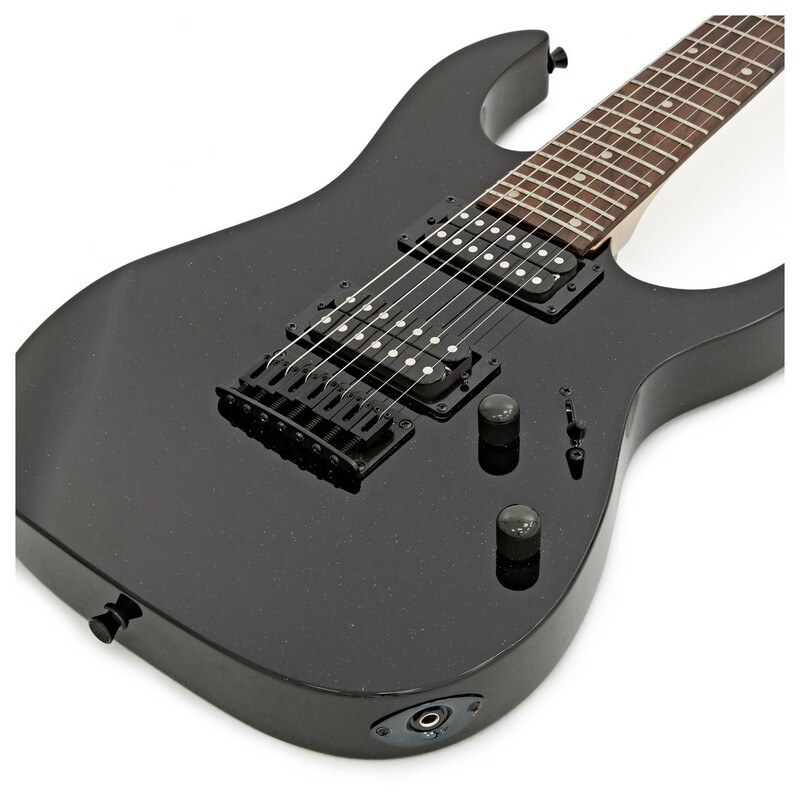 The Ibanez GRG7221 GIO 2018, Black Night is the ideal entry level guitar, offering the high-quality performance of Ibanez, in a more affordable package. 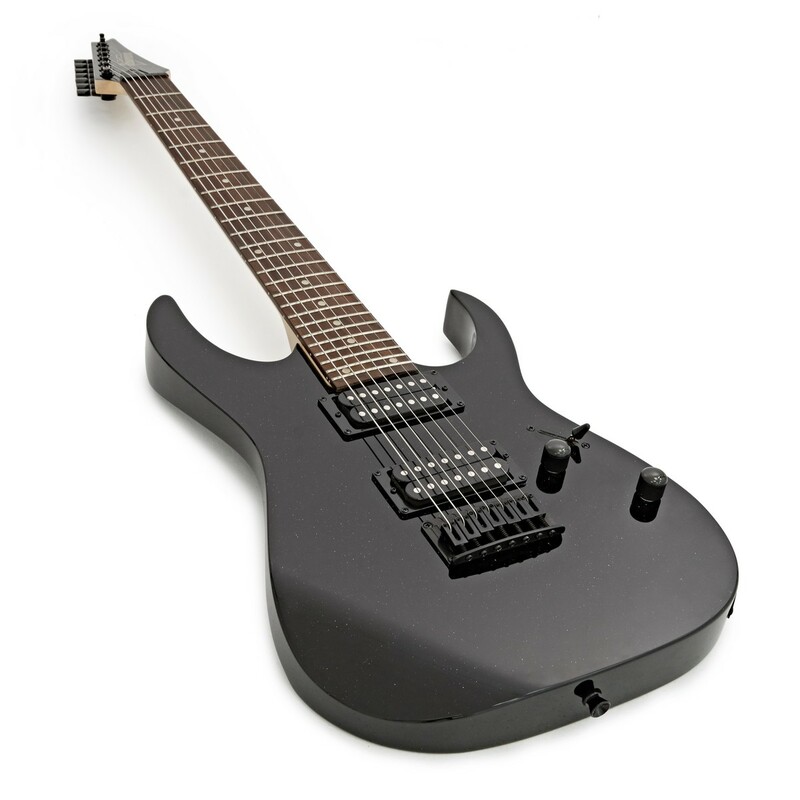 The Ibanez GRG7221 GIO comes equipped with versatile Infinity pickups that offer a stunning modern tone, which can be achieved with the 3-way blade switch and tone control. Constructed from a poplar body, maple neck, and treated New Zealand pine fingerboard, the Ibanez GRG7221 GIO offers a beautifully bright, warm tone with sparkling highs and thick lows to suit a variety of playing styles. This 2018 Ibanez GRG7221 GIO features a strong poplar body. The body's smooth contours provide an incredibly comfortable playing experience, while the maple neck and New Zealand pine fingerboard offers a quick, fast play. The F107 bridge provides incredible tuning stability. The GRG7221 guitar is equipped with a set of Infinity pickups to offer a versatile range of tones, from crystal clear notes to gritty lows and crushing highs. Perfect for modern playing styles, the combination of two humbuckers deliver incredibly thick, punchy tones with plenty of clarity and dynamics. Achieving the perfect pickup combination is easy with the 3-way blade switch, volume control, and tone control. 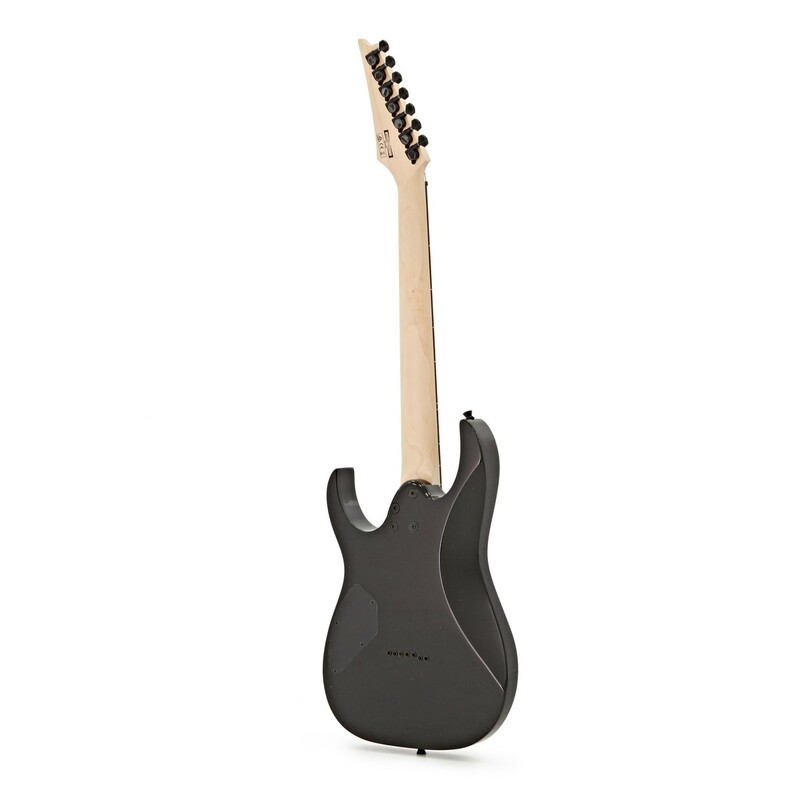 The GIO Series was designed and developed by Ibanez for guitar players who desire the premium-quality of Ibanez instruments, but in a more affordable package. 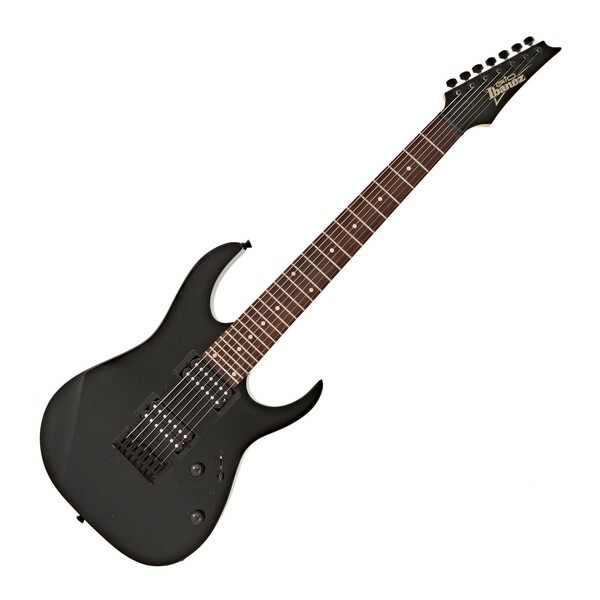 Not only does this range of guitars look and perform better than everything else in their price range, but their rigorous inspection, set-up, and warranty is identical to Ibanez's signature models. So if you're looking for an entry level guitar by a historically renowned guitar maker then look no further than the Ibanez GIO series of electric guitars. 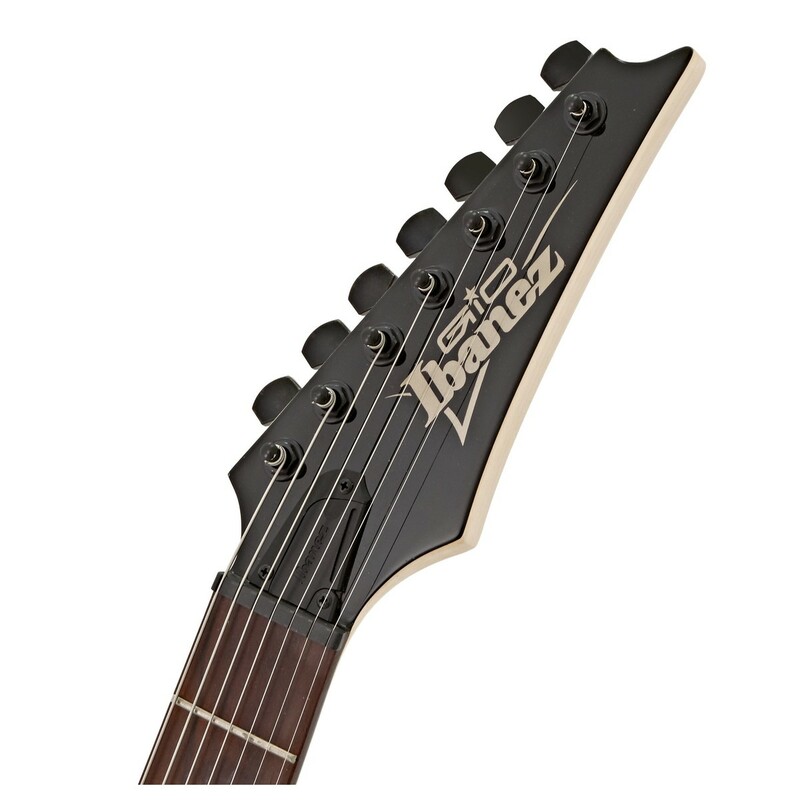 Over the past 30 years, Ibanez Guitars have always been at the forefront of developing the right tools for electric guitar players pushing the boundaries of music. For decades, Ibanez designers and luthiers have been the embodiment of this ideology, pushing their skills to the edge of imagination, consistently creating some of the most versatile and unique instruments ever. Although Ibanez guitars have been made since 1908, it wasn't until the late 1980s that they began to form an identity for themselves when artists such as Steve Vai and Frank Zappa began using their instruments. Now with a huge artist clientele across the globe, Ibanez are a leading manufacturer of electric guitars and basses and a first choice for many dedicated musicians.